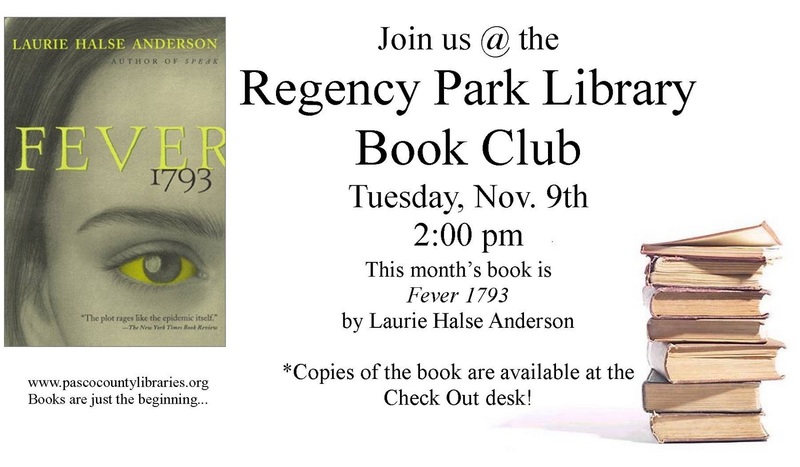 The Regency Park Book Club is reading Fever 1793 by Laurie Halse Anderson this month. 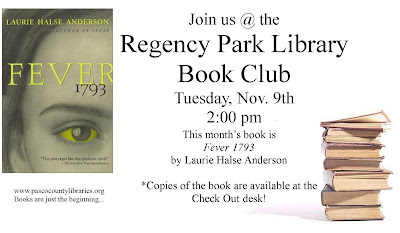 We will meet to discuss the book on Tuesday, November 9th at 2:00 pm in the meeting room at the library. Copies of the book are available at the Check Out desk in the library! All are welcome to join.